Concerns over speeding near schools have been raised yet again after police stopped more than 20 drivers outside an Inverness school during its pupils’ lunch break. According to the BBC, officers pulled over 24 motorists near Hilton Primary on Thursday [23rd August]. Certain instances of speeding were so extreme that they warranted one of the drivers to be reported to the procurator fiscal, while two have received a conditional offer of a fixed penalty notice. The rest were given warnings. Police have been carrying out speed checks outside schools across Inverness all week since pupils returned from their summer break. 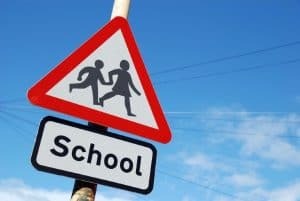 Speaking to the BBC, road policing sergeant Gus Murray said it was “incredibly disappointing” to have had to stop so many motorists for irresponsible driving near a primary school in such a short space of time. He commented: “All motorists need to be persuaded that driving at inappropriate speeds is not a minor, technical offence that everyone commits. It is a serious, dangerous and antisocial activity. Despite the concerns, road safety in Scotland seems to be heading in the right direction overall, with road deaths hitting a record low in 2017. Transport Scotland reports that 146 people died as a result of road accidents in the country last year; 45 fewer than in 2016, marking a decrease of 24 per cent. On a similar note, casualties dropped by 14 per cent too, from 10,905 in 2016 to 9,391 in 2017 – 899 of which were children – while the number of people seriously injured fell by seven per cent to 1,580.